Hey hot chile lovers. Have you ever tasted the fearsome kick of fresh horseradish? 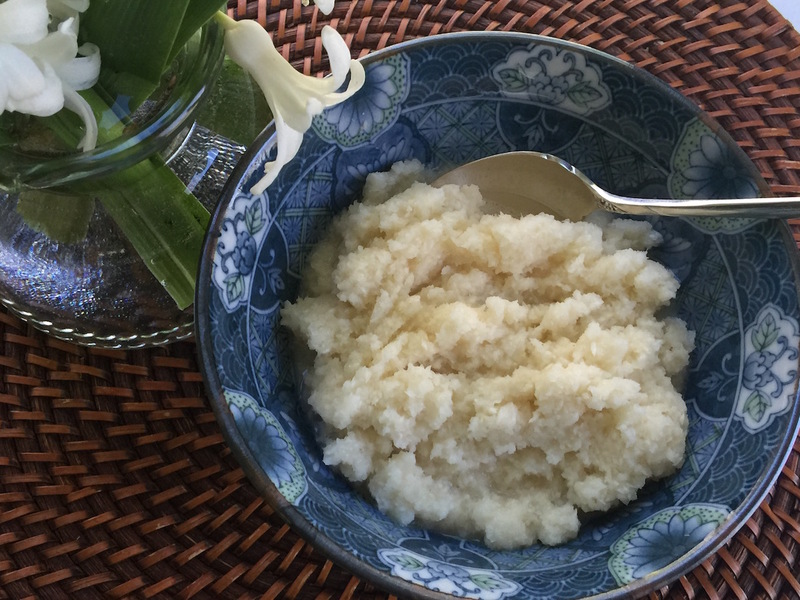 Drop the sriracha and go for the burn of fresh horseradish, a raw puree made from this gnarly perennial root in the mustard family. Horseradish is loaded with antioxidants and Vitamin C but nobody loves it because it aids digestion. Horseradish is a thrill-ride condiment that clears your sinuses and makes you weep! It may be served on its own, tempered by cream or mayonnaise, used as an ingredient to crank up the heat in cocktail sauce, or lend its distinctive flavor to a recipe. 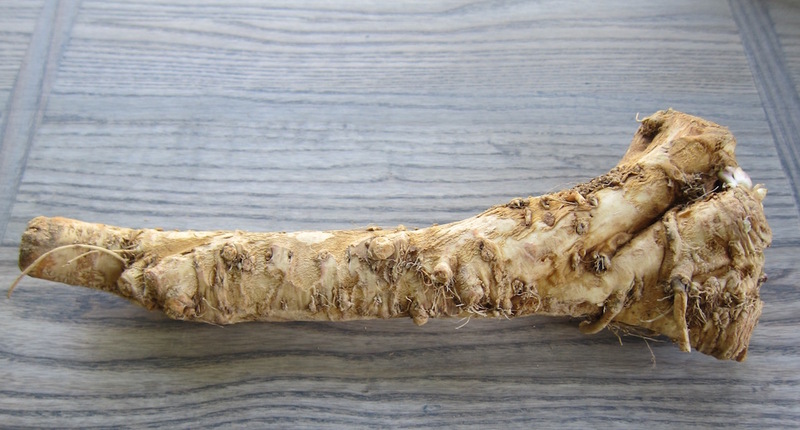 The European horseradish root is a member of the mustard family. It’s also a cousin to both red radishes and pale green Japanese wasabi — an even more powerful but softer root grated by hand at high end sushi bars. Horseradish heat comes from volatile mustard oil (isothiocyanate) that’s preserved by acid. 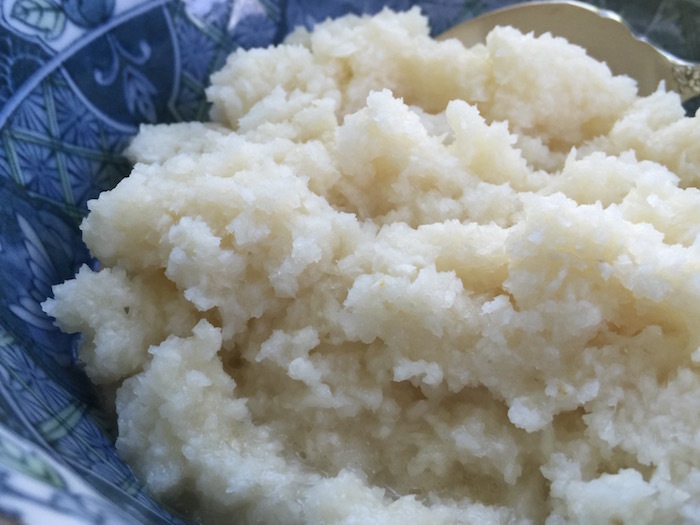 So the natural partner of horseradish is vinegar, which also helps lift the flavor. For nearly half my life one of my Spring rituals has been making fresh horseradish, a traditional accompaniment at the Passover seder. I always make extra because fresh horseradish is a rarity and, as I’ve discovered, there are legions of fans! One of my favorite simple snacks is an open face avocado and fresh horseradish sandwich on white bread or cracker. The French, who eat red radishes with butter, gave me that idea but this won’t come as news to any diehard horseradish lover. Like garlic, horseradish has its own International Horseradish Festival held each spring in Collinsville, Illinois. And for anyone who wants more information, there is also a website horseradish.org. So let’s get down to business here. First, I rinse the root to remove any soil clinging to it. Then I start removing the thin skin with a vegetable peeler. 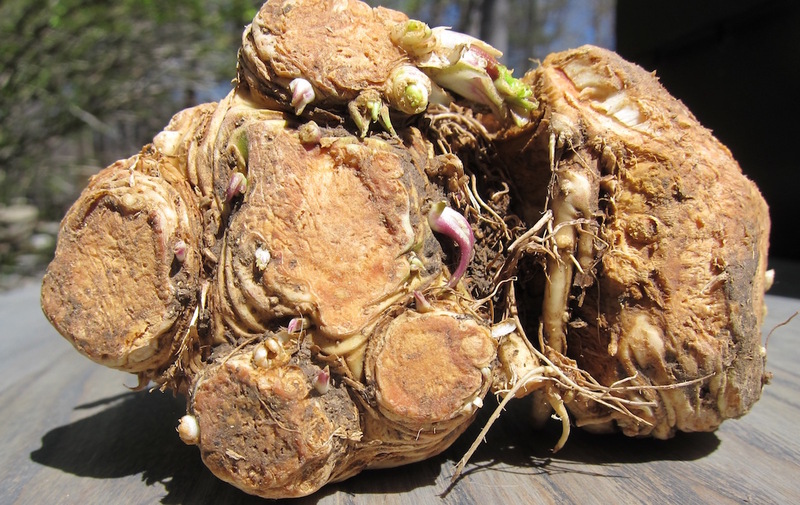 The top of the root — where the leaves grow — can be gnarly and chambered. That can be peeled or sliced away. Cut out any black spots. 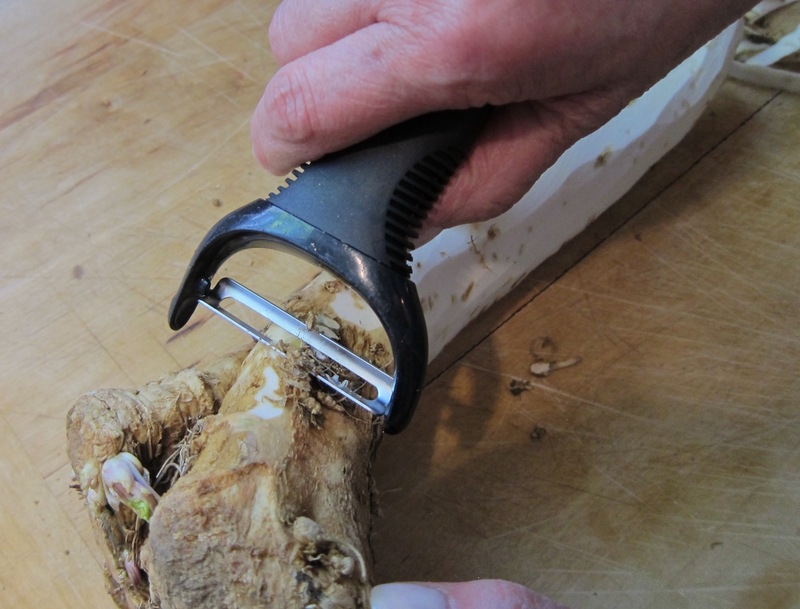 Cut the root with a sharp, heavy knife as needed to create pieces of workable size for peeling. 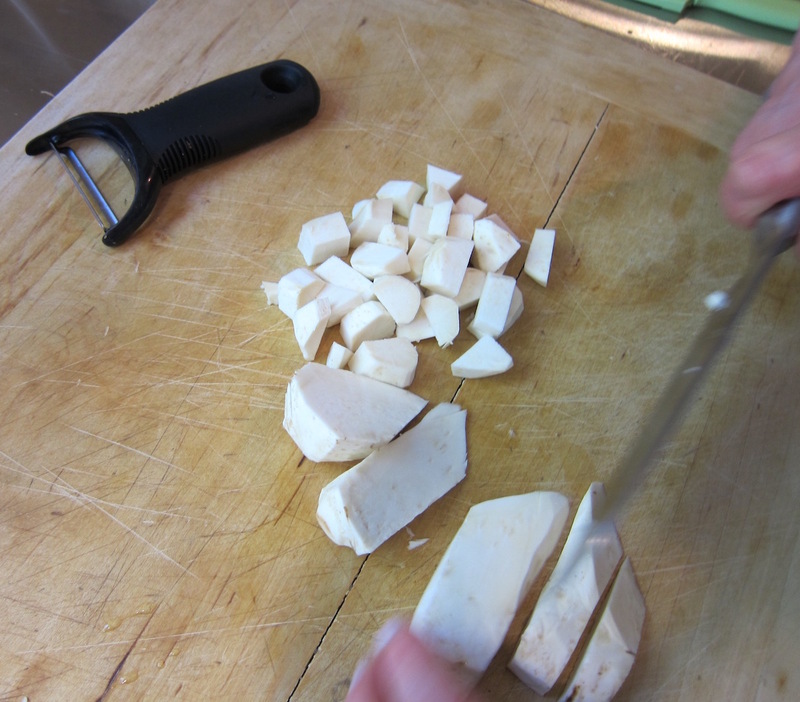 Then cut the peeled root into 1/2-inch cubes. From this point forward be sure to protect your eyes and nose which can become very irritated by the volatile fumes released when horseradish is ground! Warning: do not stick your face into the food processor to sniff it. Once you start grinding you’ll see why. My eye makeup is always a mess by the time I’m finished. Put the root cubes into the food processor fitted with the metal knife blade. The dry processed texture should be as fine as possible. With the processor running, drizzle in the vinegar-salt water very slowly. Scrape down the side of the container, to get the dry bits incorporated, then continue processing until the mixture is moist and slushy. 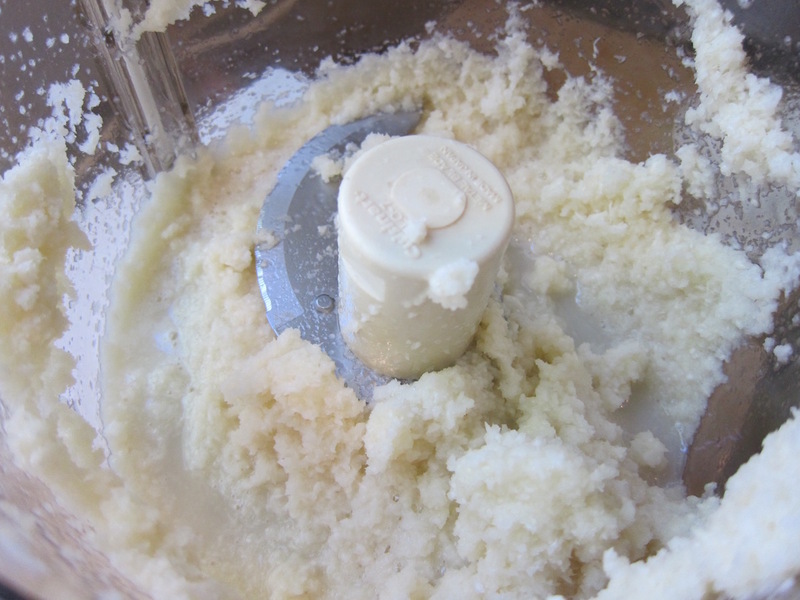 Immediately pack the grated horseradish into an airtight container of any size. I like to refrigerate it a day or two before serving so the vinegar blends in well. Rinse the root under cold running water. With a vegetable peeler remove the thin skin all around. Cut the root into workable pieces for peeling as necessary. 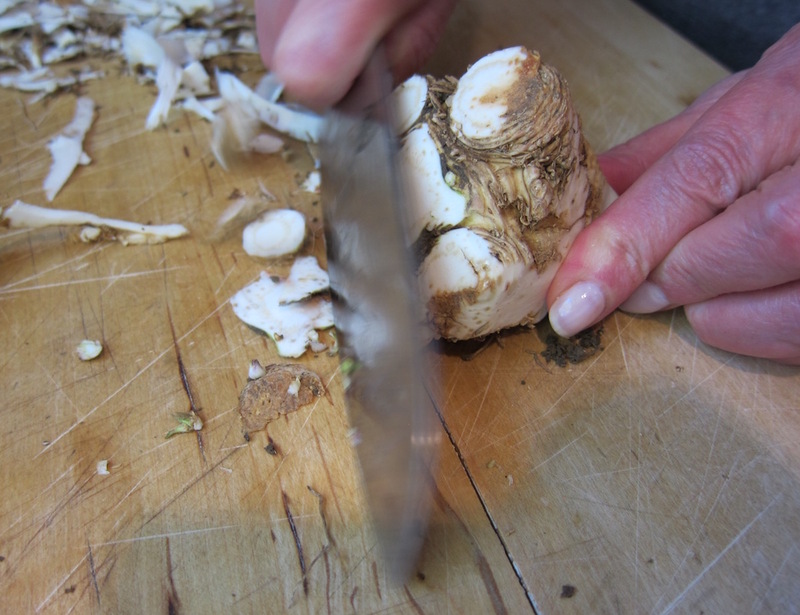 Cut away any small black spots then, with a medium-heavy duty knife, cut the peeled root into 1/2-inch pieces. Fit the food processor with the metal knife blade. Process with long pulses until horseradish is fine, about 2 minutes. Taking care to turn your face away to avoid the strong fumes, open the container and scrape down the side once or twice so that the root is evenly minced. Mix the rice vinegar, white vinegar, salt and water together in a measuring cup with pouring spot. With the machine running, slowly drizzle the vinegar mixture into the processor to help completely pulverize the root. Again, avert your face and scrape down the container once or twice to keep the texture even. Add an extra tablespoon or two of water if necessary to give the horseradish a slushy texture. 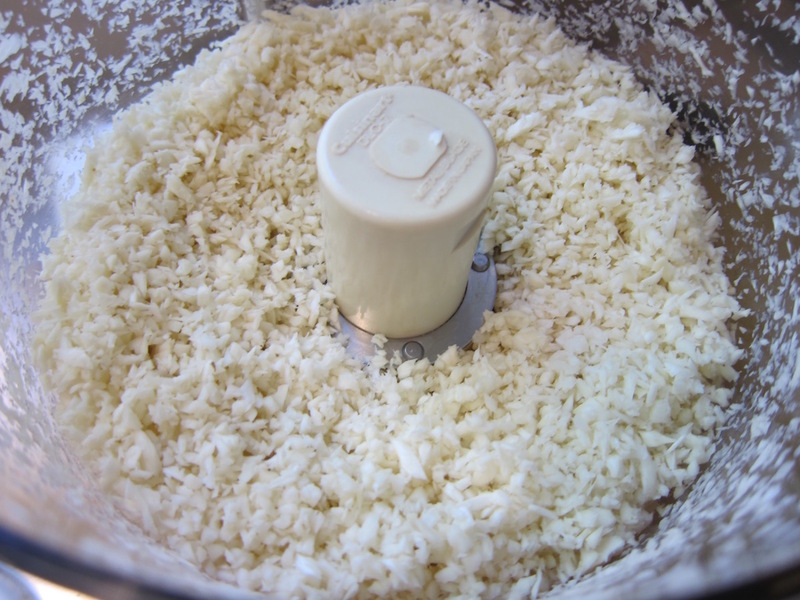 Continue processing until the horseradish is ground as finely as possible. Transfer to an airtight container. Refrigerate until ready to serve. Horseradish can be kept refrigerated for about 3 months. This is white horseradish. You will see prepared “red” horseradish colored by beet juice. I have no idea why horseradish was made red except to guess that beet juice is a bit sweet and that was used to temper the bitterness. Rice vinegar has a slightly sweet undertone which, I think helps. I store horseradish in an airtight container and try to size it to the container. As it’s used, I transfer it to smaller containers so it doesn’t oxidize as quickly. Once the color turns from white to light tan/beige it’s gone bitter and it’s oxidized — just throw it out. I find that horseradish needs to sit for a day or two before serving to allow the flavors to blend. Horseradish is a singular thing. No substitutes except for fresh wasabi, a much softer root that can be hand grated. I’ve never tried chopping up red radishes very finely but I suppose it could be tried. Those are much tamer, of course. My father always loved really fresh horseradish and grew it in the garden! Seems very old fashioned and quaint these days, doesn’t it? But we had roast beef every Sunday with the horseradish and popovers… wow…another way of life. Of course, now I buy it in the bottle but still love it. Thanks for the memories! I love the flavor bomb from horseradish. I was already an adult when I first tried it. Thanks for the recipe – I never thought to try preparing it myself.